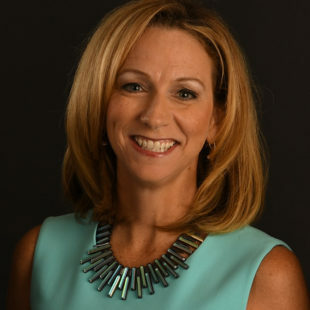 Beth Mowins - ESPN Press Room U.S.
Beth Mowins is a veteran and pioneering play-by-play broadcaster who has called a variety of sports for ESPN. Her primary assignments are men’s and women’s college sports and in 2017 she became the first woman in 30 years to call a National Football League game. Mowins called the Los Angeles Chargers vs. Denver Broncos game as part of ESPN’s season-opening Monday Night Football doubleheader in September 2017 with Rex Ryan. In doing so, she became the first female broadcaster to call a nationally televised game and the first female broadcaster to call an NFL game since Gayle Sierens worked a regional telecast 30 years earlier for NBC in 1987. Mowins began calling college football for ESPN in 2005. She currently works ESPN and ABC Saturday games during the fall with Anthony Becht and Rocky Boiman. She is also a staple on ESPN’s regular-season men’s and women’s basketball schedules. Since joining ESPN in 1994, Mowins has called NCAA Championships in basketball, softball, soccer and volleyball and has been the voice of the Women’s College World Series for more than 20 years. She was also part of ESPN’s coverage of the 2011 Women’s World Cup in Germany. In addition to her ESPN NFL assignment, Mowins worked four NFL games for CBS Sports during the 2017 NFL season, and she has been the play-by-play voice for Oakland Raiders preseason games since 2015, working with NFL legends Tim Brown and Matt Millen. A 1989 graduate of Lafayette College, Mowins captained the varsity basketball team. A three-time all-conference selection and 1,000-point scorer, she is still the school’s all-time assists leader with 715. She is also a member of the Lafayette College Maroon Club Hall of Fame. Mowins earned her master’s degree in communications from Syracuse University’s S.I. Newhouse School in 1990. In 2015, Syracuse honored her with the Marty Glickman Award for leadership in sports media, joining the likes of Bob Costas, Marv Albert and Sean McDonough. In 2014, Mowins accepted the CoSIDA Jake Wade Award for outstanding media contributions covering collegiate athletics, joining previous honorees Robin Roberts and Christine Brennan. A native of North Syracuse, N.Y., Mowins was inducted into the Greater Syracuse Hall of Fame in 2009.